In Buddhist Prayer and Chanting, we mostly end the Prayer, Chanting or Meditation session with a dedication of Merit and a sending of Metta to all other Living Beings in Samsara. Often people refer to this as sharing Merit, which is in fact not something you can share. What you can share however, are the fruits, or rewards of those Merits one has accumulated, and offer those benefits to be shared, or offered completely to other beings. In Buddhist practice, one does not take preference over one kind of Being with another, be it a higher or lower type of Being, it is irrelevant. Because the Mind of an Enlightened Bodhisattva would not differentiate or show preference towards one Being over another Being in Samsara. We try as Buddhists to develop the causes of becoming like a Bodhisattva, and thus must not take preference in our dedication of the Fruits of our merits which we have accumulated. However, despite this fact, we can notice in the order of Traditional Recitation of the Dedication of Merit and sending of Metta, a preference of order is given in naming the various kinds of Beings who should receive the benefits of ones striving for Dhamma. It begins with the Buddha, Dhamma and Sangha – and continues with Parents, Kroo Ba Ajarn, and then the Angel who protects us, and the Jao Gam Nai Wen (the agent of Karma, or the negative energies of the Beings we have hurt in past lives, and even this life). It then continues to include the various other kinds of beings from all the six worlds, including the Hell Beings and Hungry Ghosts, Humans, Animals, Devas, Asura. The importance of really meaning it when sharing with the Jao Gam Nai Wen is of great importance in changing ones luck and fortune, and should be practiced with much effort, focus and concentration, with understanding and a sense of ‘really meaning it’. This is one of the core practices of reducing ones bad karma and improving ones good karma. Bun for a Bhikkhu, is the state of meritorious purity of mind which is auspicious, and therefore a blessing of subtle happiness of mind and peaceful dwelling. For the Thai Buddhist Folk, ‘Tam Bun’ (make Merit) can mean many things, or a varied number of ways of making those Merits. 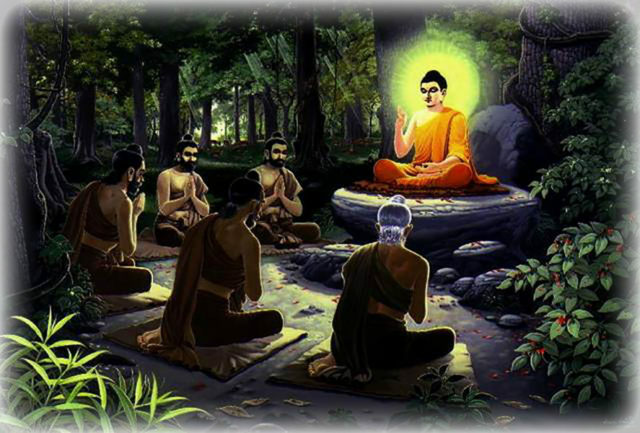 There are three major ways, or paths in which to accumulate merit in the Thai Buddha Sasana; Taan (Dhana – Generosity and Alsm Giving), Siin (Sila – Morality, or Moral Precepts/Vows of self restraint, until one has developed those Moral and Pure thoughts) and Paawanaa (Bhavana – the applied practice of the eightfold path, and development of insight as taught in Vipassana Kammathana methods). Download Windows Media Soundfiles (3 parts) Part 1. | Part 2. | Part 3.